With the release of Star Wars: Battlefront players were left wanting for more as the game only offered barebone experience of would be the best-selling game. Soon to remedy this EA launched Star Wars: Battlefront 2, but that game objectively being better than Battlefront 1 had some glaring issues. The game was notoriously known for its aggressive pay-2-win tactics where players could pay to unlock characters or depend on RNG Lootboxes to have chance to get the character they wanted. For Battlefront 2 EA generated huge amounts of a backlash among fans and press, with many even asking Disney for revoking the license of EA to produce more Star Wars game as people feared EA will offer a water-downed experience in Star Wars shell with loads of microtransactions to monetise game at every point. But, with Star Wars Jedi: Fallen Order EA is trying to earn back the confidence of player and this time they are making some huge changes to game. 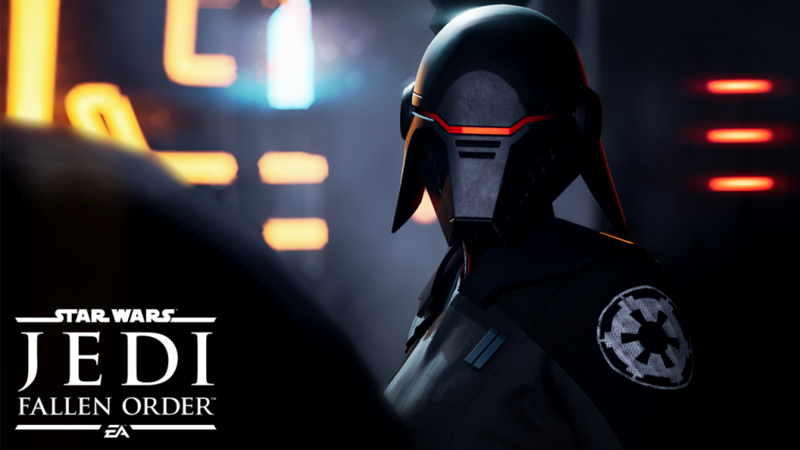 Star Wars Jedi: Fallen Order is a third person action game with Jedi as the playable character. Unlike the Star Wars Battlefront series, this game won’t be a shooter and will be action game with main focus on Lightsabre combat. The game will feature a full-length story mode and won’t have a multiplayer option. The story is set to take place after “Episode 3- Revenge of the Sith” and before “Episode 4- A New Hope”. The game will follow “a young Padawan’s journey” who is one of the last remaining Jedi from Order 66. The Order 66 was destroyed and only a few Jedi were able to survive the purge and are being actively hunted on, with us trying to stand out as little as possible (maybe stealth involved?). According to sources, Disney will be presenting more information about the game during a panel at the Star Wars celebration in Chicago. Star Wars Jedi: Fallen Order is EA’s attempt to redeem themselves and for this EA have faith in one of their best studios: Respawn Entertainment. Respawn Entertainment is one of the best studios under EA right now. Some may know them for Apex Legends, most popular battle royale game in the market right now or Titanfall series which is till date is considered best in the multiplayer genre. But their history goes way back to Call of Duty era. Respawn Entertainment was made by ex-employees of Infinity Ward, the studio that gave us best campaigns in FPS games ( mainly COD: MW) till date. So, with the experience on their side, Respawn was objectively the best choice EA had after Bioware failed 2 times in a row with Mass effect Andromeda and Anthem. But that’s not all, EA has also made some shocking promises. With the game coming out in “holiday 2019”, EA made promises that the game won’t feature any kind of Lootboxes or microtransactions, and also promised that EA won’t be adding them later on. With this announcement alone many players sceptical about EA’s monetisation menace can rest at ease. According to sources, the game isn’t on EA’s Frostbite Engine rather it is made on Unreal Engine. Frostbite may be able to produce some very beautiful landscapes but at the same time, the engine is difficult to work with and is missing basic functionality ( as reported by Anthem developers). So, with them working on Unreal Engine ( known for its variety of included functions and being well documented) Respawn will be able to focus more on actual gameplay and mechanics. With more information about the game to be detailed soon, we only hope to see a great Star Wars game which Jedi: Fallen Order might offer.